Homeopathy is a medical science developed by Dr. Samuel Hahnemann (1755-1843), a German physician. It is based on the principle that “like cures like”. In simple words, it means that any substance, which can produce symptoms in a healthy person, can cure similar symptoms in a person who is sick. This idea is referred to as the “Law of Similars”, and was understood by Aristotle and Hippocrates and mentioned in ancient Hindu manuscripts. It was Hahnemann, however, who turned it into a science of healing. An onion is a substance that makes your eyes water and your nose burn. If you are having an attack of hay fever with watering eyes and a burning nose, a homeopathic remedy made from onion may relieve it. Poison ivy causes redness, intense itching, burning, blistering and sometimes stiff muscles. Homeopathically prepared onion has been used for everything from herpes and burns to eczema and arthritis. When you are stung by a bee you feel a burning, stinging pain and the tissues surrounding the area swell up. Some relief is gained from applying cold to the area. 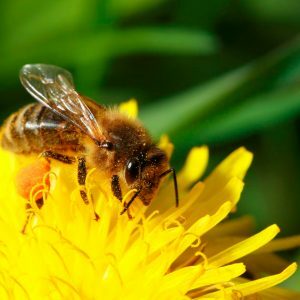 If you had swollen tonsils with burning and stinging pain relieved by cold, a homeopathic remedy prepared from a honeybee may help resolve those symptoms. Currently there are three thousand substances used as homeopathic remedies to treat everything from colds and cough to arthritis and multiple chronic conditions. A second principle of Homeopathy is that you should give the least amount of medicine necessary to evoke a healing response. This is called the “Minimum Dose”. We all know that normal medicines can cause side effects, leading to much suffering or even death. In an effort to prevent side effects, Hahnemann began successive dilution with strong shaking (known as succussion) of his medicines, to find the point at which they would be therapeutic, but not toxic. You may be wondering what kind of track record Homeopathy has for treating serious diseases. A look at the past will establish that Homeopathy has proven itself reliable and is often much more effective than conventional treatment in certain conditions. The worldwide influenza epidemic of 1918 killed 22 million people worldwide and 500,000 in the U.S. The death rate was 30% or higher for those treated conventionally, while homeopaths were successful in treating an amazing 98% of their cases! During the Cholera and Typhus epidemics in Europe from the 1860’s to early 1900’s, people using Homeopathy had survival rates 50% or greater than those treated by conventional medicine. In an epidemic of Typhus in Leipzig (1813), Dr. Hahnemann treated 180 cases of Typhus, losing only two patients. Mortality rates for conventional treatment were over 30%. During the cholera epidemic of 1849 in Cincinnati, with survival rates between 40-52%, those treated by Homeopathy had a 97% survival rate. These results were published in the local newspapers. Homeopathy has also proven itself invaluable in preventing illness. In the 1957 polio epidemic in Buenos Aires, the homeopathic remedy Lathyrus was given to thousands of people. Not one case of polio was reported in those individuals. In a 1974 epidemic of meningococcal meningitis in Brazil, 18,640 children were given a homeopathic remedy for prevention. Only 4 cases of meningitis occurred in those children. In the smallpox epidemic of 1902 in Iowa, the homeopathic remedy Variolinum was given preventively to 2,806 patients of 15 doctors. The protection rate was 97%. After his first experiments in 1790, Hahnemann tried many other substances, learning what symptoms they would produce and therefore, what symptoms they could cure. He taught others his new method of healing and soon Homeopathy spread from Germany to the rest of the continent. By 1829, Hahnemann was famous throughout Europe. He produced amazing cures in some of the worst epidemics of the time. During epidemics, survival rates in Homeopathic hospitals far surpassed those in conventional ones. Because of its success in healing the most serious diseases without harm to the patient, Homeopathy was soon practiced all over the world. The wealthiest families and the royalty of Europe were early patrons of homeopathy. The World Health Organization estimates that Homeopathy is used by 500 million people worldwide, making it the second most widely used medical approach in the world. In England, France, Germany and the Netherlands, Homeopathy is included in the National Health Service. In France, 18,000 physicians prescribe homeopathic remedies. There are seven medical schools offering post-graduate degrees in Homeopathy and all 23,000 pharmacies carry homeopathic remedies. In England, 42% of British physicians refer patients to homopaths. The Royal family has used Homeopathy for three generations. There are currently five homeopathic hospitals, and the oldest, the Royal London Homeopathic Hospital, has been there for 100 years. India has over 70,000 board certified homeopathic physicians, hundreds of homeopathic hospitals and clinics and many homeopathic medical schools. In Germany, 20% of Physicians prescribe homeopathic remedies. In the Netherlands, 45% of physicians consider Homeopathy effective. Homeopathy is also practiced in Austria, Scotland, New Zealand, Australia, Canada, Russia, Brazil, Argentina, Mexico, Pakistan, Greece, Belgium and Switzerland. In summary, Homeopathy is a safe, gentle, and natural system of healing that works with your body to relieve symptoms, restore itself, and improve your overall health. It is extremely safe to use, even with very small children and pets, has none of the side effects of many traditional medications, is very affordable, is made from natural substances, and is FDA regulated. It is used to treat acute illnesses, like colds, ear infections, migraines, and sore throats, as well as chronic conditions, like asthma, depression, autism, and arthritis. To make an appointment with Dr. Prickett, call Sarah at the office at 407-644-3593.